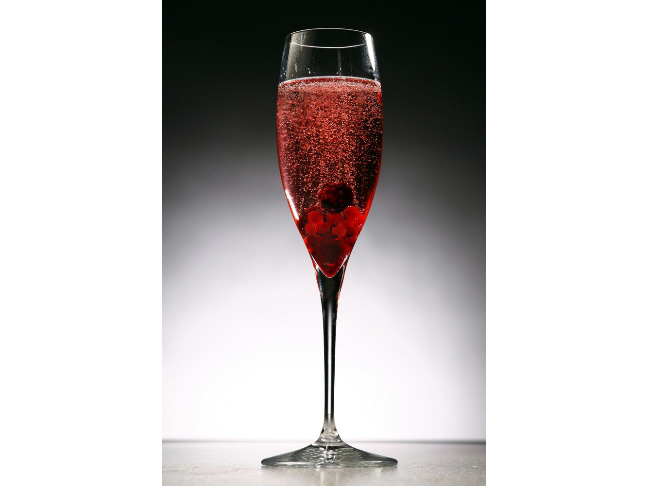 A sweet sparkling wine made from Muscat Canelli grapes, Biltmore Pas de Deux, makes an excellent champagne cocktail. This drink puts fruit forward with honeysuckle, orange, strawberry and lemon notes on both the nose and palate. Make this recipe for your New Year's bash or any party for an easy guest pleaser. Step 1: Put ice into a martini shaker. Step 2: Combine vodka, triple sec, pomegranate juice, and orange juice in the martini shaker over the ice. Step 3: Shake well for 20 – 30 seconds. Step 4: Pour mixture into champagne glasses. Step 5: Top with Pas de Deux sparkling wine and garnish with orange slice.